Strömstad is a town on the West Coast of Sweden, north of Göteborg (Gothenburg), and is the northern terminus of Bohusbanan and was completed in 1903. The line was intended to continue north into Norway but lack of finance and the difficult terrain resulted in the project being abandoned. 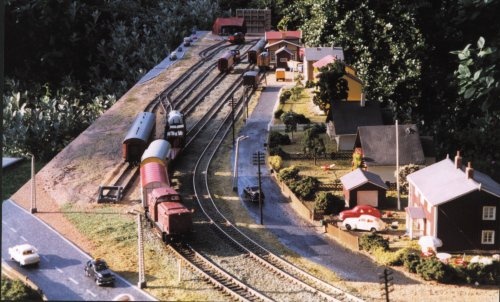 The station itself had minimal goods facilities, as there was a harbour branch with more facilities. The line was electrified in the 1950's, and is now a minimal station with a limited service to Gothenburg. 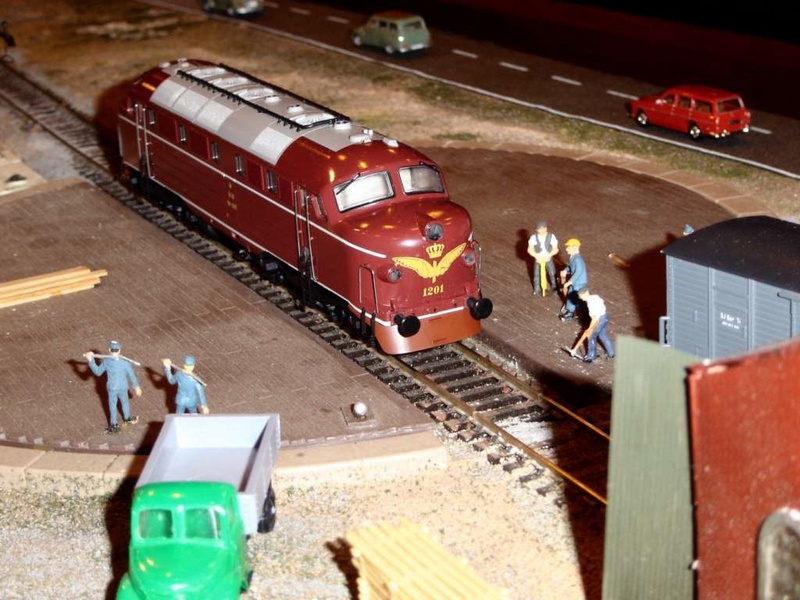 The model is based on the situation in the 1960's and runs to the summer 1965 timetable. 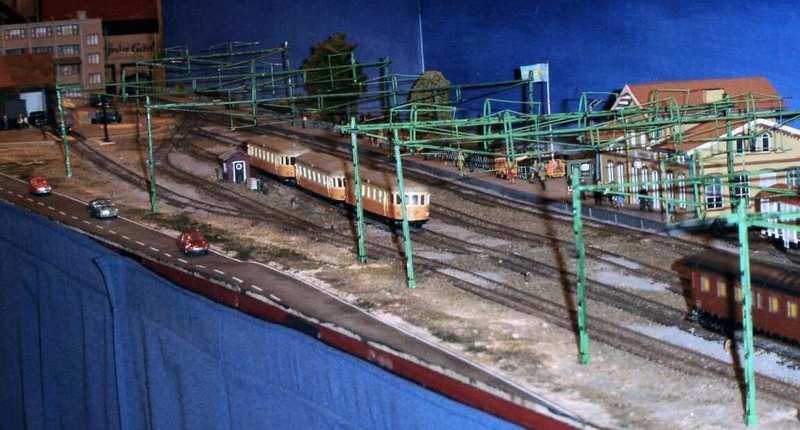 Since the above photos were taken, ovehead electrication has been added to the layout, as shown below. with a single track station, but popular tourist harbour full of visiting Norwegian boats. The station building is now the end of the station. The 2-hourly service is operated by Västtrafik with Class 61 The service capacity is limited by the last half of the route from Göteborg being single track.